Tommy Bahama is an American company that manufactures and sells men's and women's sportswear. The casual style of the store has made it the perfect combination of sporty and classy from activewear, denim, swimwear, accessories, to footwear. With Big Apple Buddy’s personal shopping service, you can now buy direct from the Tommy Bahama online store anytime, anywhere. 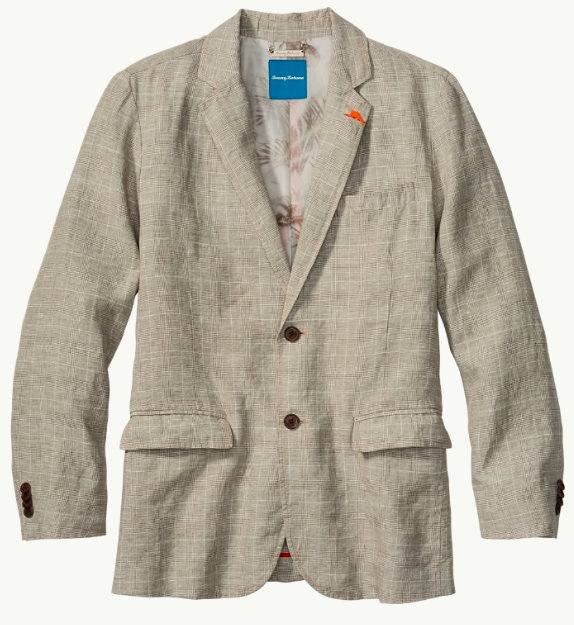 Get the best of both worlds with Tommy Bahama's Coat D'Azur Irish Linen Blazer! This timeless yet casual blazer that is perfect year round. With the unique 100% Irish linen, this coat is soft to the touch and built to last. Meanwhile, the two button allows for a versatile option if you choose to go more casual. Whether you combine it with a dress shirt or tee, you'll be sure to look dapper and fresh! 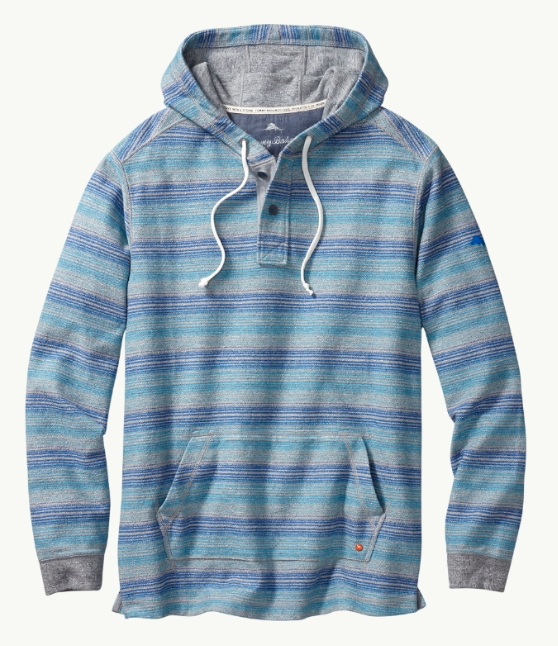 For those chillier days, the Ridgemont Beach Hoodie of the Tommy Bahama collection will keep you cozy. With the relaxed vibe of the beach lifestyle, this comfy sweater is ideal for any time of occasion and will remain lightweight no matter what you wear underneath. Take advantage of the kangaroo pocket if you need to carry your essentials and the hoodie if you need extra warmth. Looking for exclusive designs? 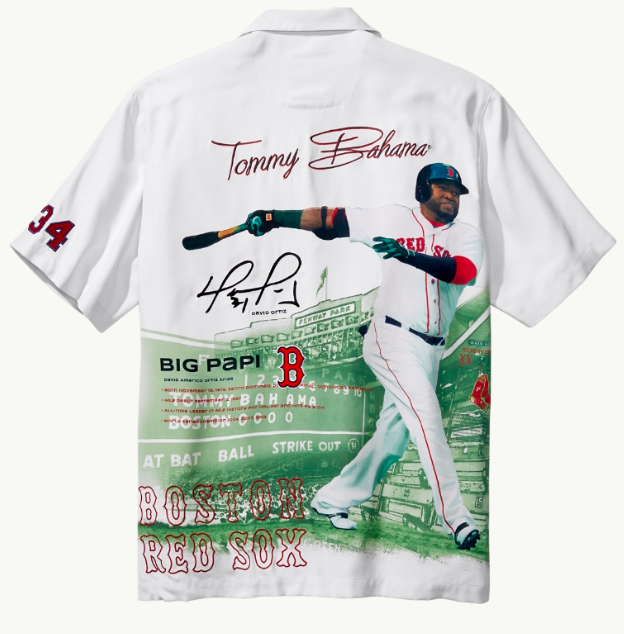 Tommy Bahama's The Legendary David Ortiz's Collectors Edition Camp Shirt is for all the baseball fans out there. It's a colorful and unforgettable design that only few will have the opportunity to show off. The luxurious silk, signature of the store, makes it a shirt you'll never want to take off. You even get a matching garment bag to keep this special shirt preserved. Unfortunately, the USA Tommy Bahama online store does not currently offer international shipping. However, Big Apple Buddy, your personal shopper, can help you buy products direct from the official USA Tommy Bahama online store and ship them to your doorstep, no matter where you are in the world. We offer international shipping to over 190 countries including Australia, Austria, Bahrain, Belgium, Bosnia & Herzegovnia, Brazil, Brunei, Canada, China, Croatia, Cyprus, Denmark, Estonia, Finland, France, Germany, Hong Kong, Hungary, India, Indonesia, Ireland, Israel, Italy, Japan, Kenya, Kuwait, Lithuania, Macau, Malaysia, Maldives, Mexico, Namibia, Netherlands, New Zealand, Norway, Oman, Pakistan, Portugal, Saudi Arabia, Scotland, Serbia, Singapore, Slovenia, South Africa, South Korea, Spain, Sri Lanka, Sweden, Switzerland, Taiwan, Tanzania, Thailand, UAE, UK and Ukraine. If you would like to buy from the USA Tommy Bahama online store, simply let us know which items you would like to order (by filling out the form on the right) and we’ll get back to you with a free international shipping quote within 24 hours!